When PPM was founded in 2002, we were a small company in Huntington Beach with no employees and only a handful of landscape architect clients. At that time, we had no idea if there were any other companies that were doing As-Built surveys, or even how many people even needed the service, all we knew was that our clients seemed to be happy with what we were offering them. As PPM has grown and been fortunate enough to serve a large group of clients with a diverse range of projects, we have learned so much more about the market for As-Built measuring services. Over the last 3 years, a new trend we have noticed is that there are more and more clients looking for a company with the ability to provide professional site surveying for high volume projects on a nationwide basis. These clients include retail chains, restaurant franchises, government agencies, real estate portfolio managers, and more. 1. Find a local architect/surveyor in every market where you have a physical presence. This strategy requires spending a lot of time and effort to develop and build relationships with potentially dozens of vendors. In addition, it is hard to maintain consistency in service, deliverables, and price when you are working with so many different firms. 2. Send an employee to every site. With this option, it is difficult to scale quickly for a large program. You have to hire and train new employees, or adapt existing employees to the job. As-Built surveying is a highly technical job that is difficult to do correctly, and accuracy is critical. Not to mention potentially significant costs to travel all over the country. At PPM, we have seen the need for a nationwide As-Built solution, so we are building the infrastructure necessary to service the biggest nationwide clients. We have a network of over 75 professional surveyors spread throughout the United States and Canada. So this means that in almost every case, we can send a local surveyor to your location and avoid travel costs. It also means that we have the manpower to handle high-volume projects with tight deadlines. In addition, we have a Project Management and QA team in California that is experienced in working with multi-site projects. 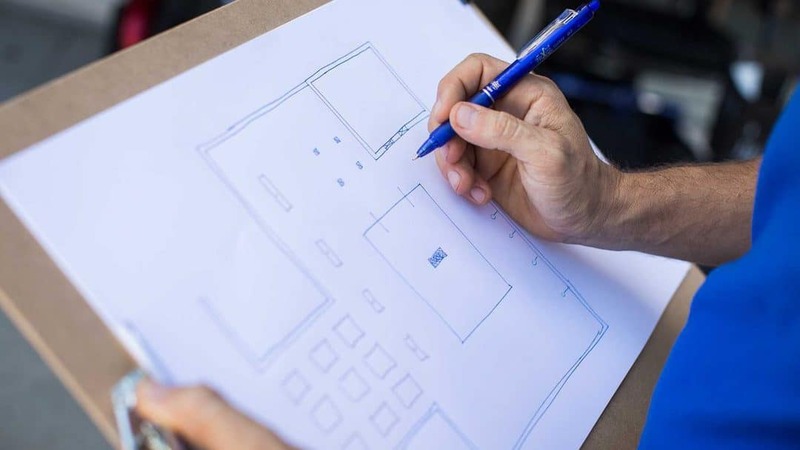 We will standardize the site survey process for you so that you will always receive a consistent deliverable, done exactly the same at every location. We will communicate with you throughout the project so that you always know exactly what is going on with every site. We offer fixed cost pricing for nationwide site survey programs that, in most cases, are cheaper than the amount you might pay just to travel to the site. If you have the need for As-Built surveys on a regional or nationwide basis, please give PPM a call at 855-AS-BUILT.